Brooks' marketing pitch: Glide through your run in supreme comfort. Upper: Closed mesh, silicone laminates, synthetic leather, urethane. Inner midfoot sleeve. Midsole: Dual density compression molded EVA foam. 10 mm heel offset. Outsole: Hard carbon rubber under heel, softer blown rubber under forefoot. Widths available: B-narrow, D - regular (reviewed), 2E- Wide. While very similar to the outgoing model, the Glycerin 14 uses thinner overlays to free up forefoot space, and has a redesigned outsole which makes the ride slightly softer. The Brooks running line is relatively uncomplicated compared to what’s out there. It’s a small product line to begin with; there are no road/trail shoes below $100, and most of the models are long continuing franchises. For instance, there’s the Adrenaline GTS in its sixteenth year, and the Ghost in its ninth. So Brooks loyalists generally have a good hang of a particular shoe’s place in the playbook – even if the new model happens to be vastly different than the last. The Glycerin 14 is Brooks’ premium neutral cushioning shoe at an MSRP of $150. It is bested in price only by the $170 Transcend 3, a model which Brooks markets as a motion control one. We beg to differ, though. 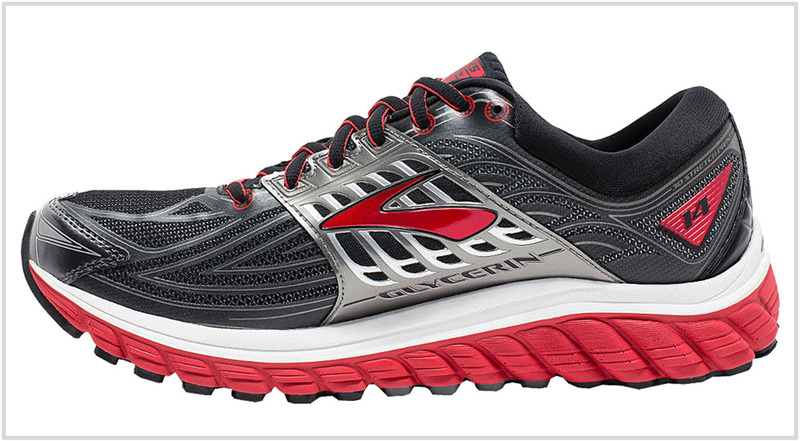 In our opinion, the Transcend 3 is a supportive neutral with a very cushioned ride. Up to 2013, Brooks used a Gel-like compound inside the midsole in the form of a heel to toe insert. 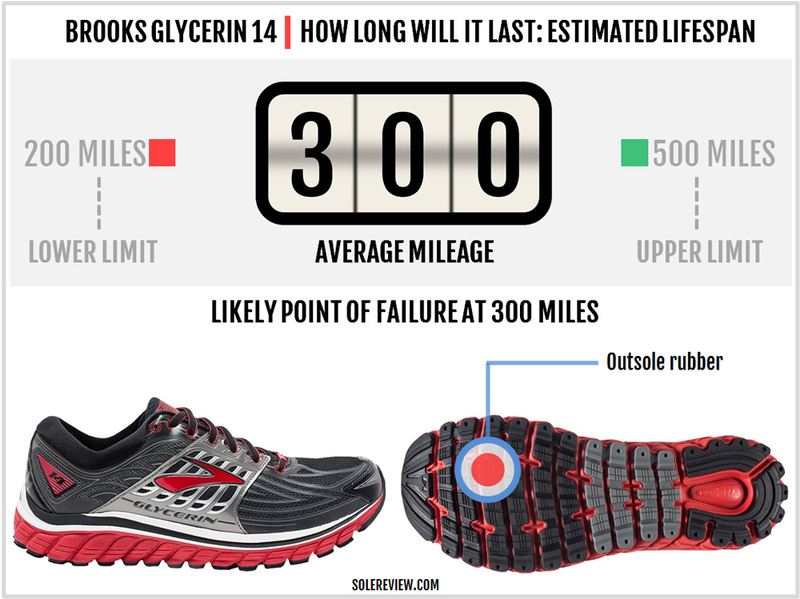 In 2014, the Glycerin abandoned that design for a full foam set-up, and that’s how it has been ever since. In the absence of any high-tech cushioning drama, the Glycerin’s all-foam midsole design makes it very supportive in nature. Combined with the rubber outsole which completely covers the midsole, the Glycerin 14 becomes a shoe for most occasions. One can go running long distances, walk around or simply stand in them all day – and the Glycerin 14’s going to get the job done. The only thing which it doesn’t do well is to go fast; the barrier to that is the shoe’s 11+ ounce weight and the soft ride. Considering that $140-$160 is the price level where most brands max out, the sheer diversity of the top-end neutral cushioning assortment isn’t surprising. If you wanted a mix of responsiveness and soft cushioning, then the adidas Energy Boost 3 or the Vomero 11 are strong contenders. Don’t need soft cushioning, but crave the spring-like property of a shoe? In that case, the Saucony Triumph ISO 3 with increased ‘Everun’ content matches the description. Good ol’ plain softness? That’s the Asics Nimbus 18 for you. 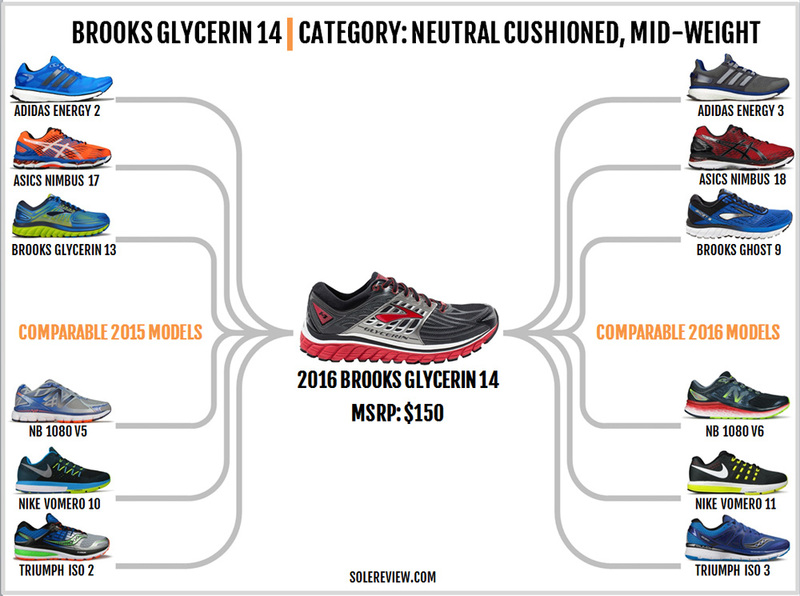 In this chart, the Glycerin 14’s closest match is the New Balance 1080 V6. Both shoes share an all-foam midsole design, and hence produce a supportive and consistent ride quality. The 2014 Triumph ISO used to be somewhat similar to the 1080 and the Glycerin until Saucony put in the Everun material into the midsole. If the $150 MSRP looks scary, then the Ghost 9 is an alternative. There’s an easy way to compare both. Just consider the Glycerin 14 as a softer version of the Ghost 9 – with a narrower toe-box and plush upper materials. The Glycerin 13 and 14 uppers look cosmetically identical, and with good reason – the Glycerin 14 retains most of the design elements used on the Glycerin 13. For example, the toe-box uses the same stitched-on toe bumper, and there’s the recognizable midfoot saddle. Brooks used fused layers called the ‘3D fit print’ on the Glycerin 13, and on the G-14, the name changes to ‘3D stretch print’. And why the change in name? 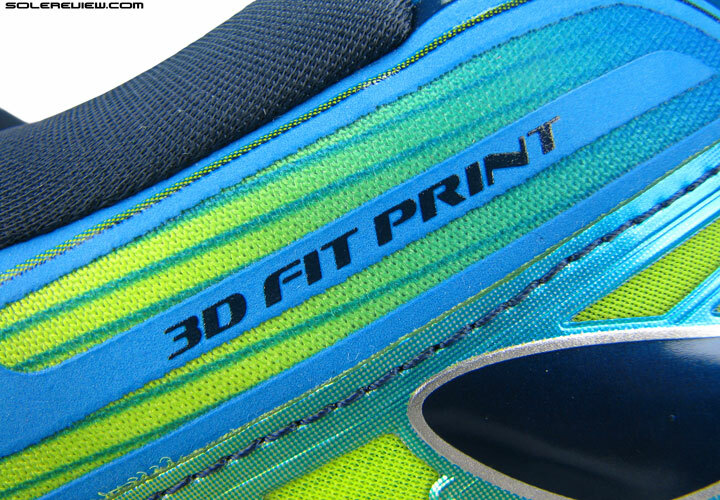 That’s because the 3D stretch print on the Glycerin 14 is made of a much thinner Silicone. This material stretches better than the thicker layers used on last year’s Glycerin 13. Other parts of the shoe feel familiar. The midfoot has an inner sleeve to keep the tongue in place, and the heel collar and the tongue goes about its plush business as usual. The laces feel great; they are soft and somewhat stretchy, as they have always been on the Glycerin. 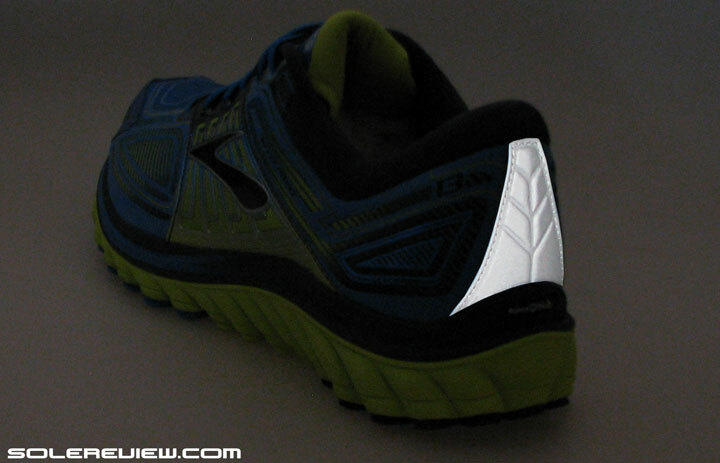 Over the heel, Brooks replaces the huge reflective panel with a non-reflective one. This comes as a bit of a surprise, as Brooks has never been the one to skimp on details. The reflective elements have been split up into much smaller strips on the sides, and over the molded ‘SuperDNA’ logo. The upper runs a bit warm, though. Remember, the mesh is of a close knit type, and the midfoot comes with a plump tongue and an inner sleeve. So the Glycerin 14 isn’t your typical well-ventilated shoe. The cheaper Ghost 9 offers better ventilation by using an open, spacer mesh. 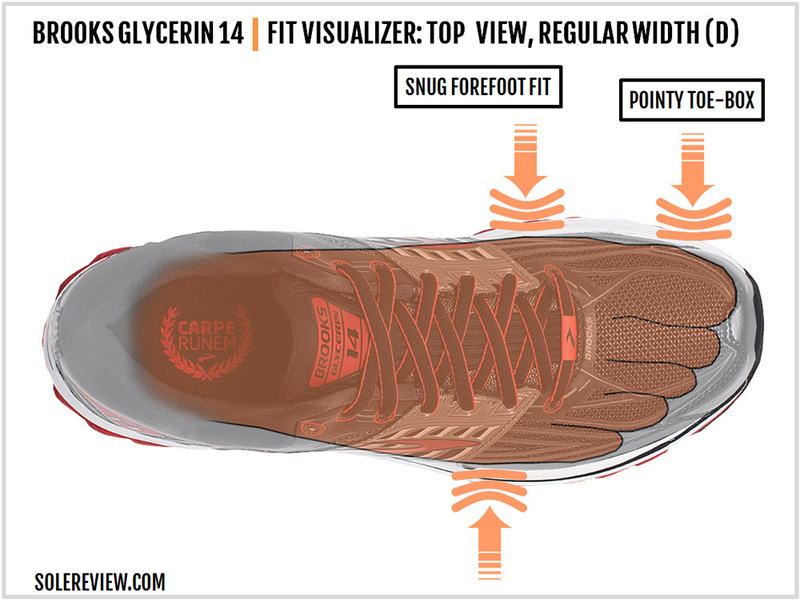 At a fundamental design level, the Glycerin 14’s midsole is similar to that of the 13. The Glycerin 14’s midsole is a dual-density stack of foam co-molded together; the upper midsole (white) seen from the outside is just a supportive rim and does not cover the lower (red) midsole. So for all practical purposes, the heavy lifting is done by a single density midsole attached to a rubber outsole. 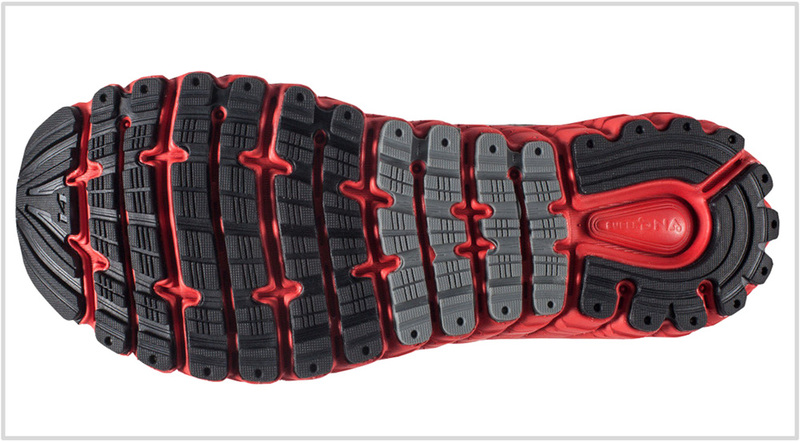 Speaking of which, the new outsole comes with significant design updates. 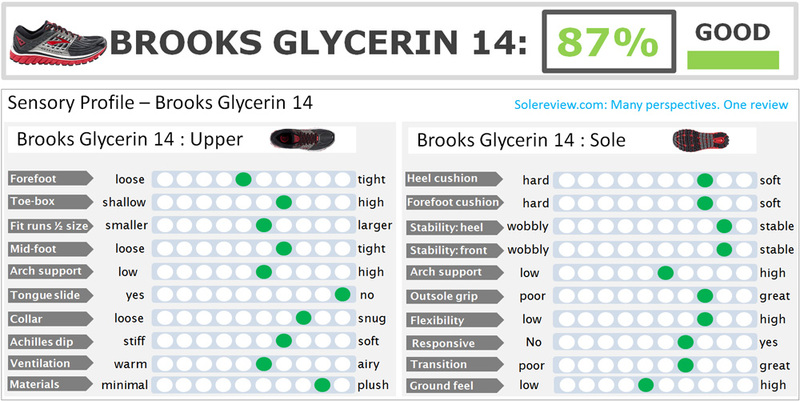 If you compare the Glycerin 13 and 14 outsoles side-by-side, then the sheer increase in the number of flex grooves becomes immediately obvious. The rubber is now split into individual strips under the forefoot and midfoot; even the heel gets deeper grooves around its edges. Besides becoming more flexible than the Glycerin 13, the updated outsole affects the quality of midsole ride too – something which we’ll talk about in greater detail later. 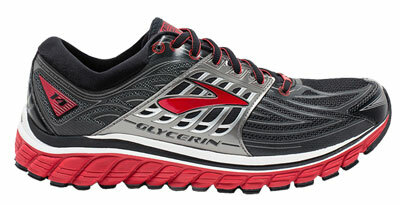 The Glycerin 14 improves on weight, going down nearly 0.7 ounces from the G-13. The thinner 3D stretch print probably helps reduce weight, but we believe that the outsole design plays a larger part. And as always, Brooks’s use of soft rubber delivers excellent traction. When it comes to longevity, there’s nothing to worry about on the upper. Brooks’ use of premium materials ensures that the upper maintains its structural integrity over a few hundred miles. 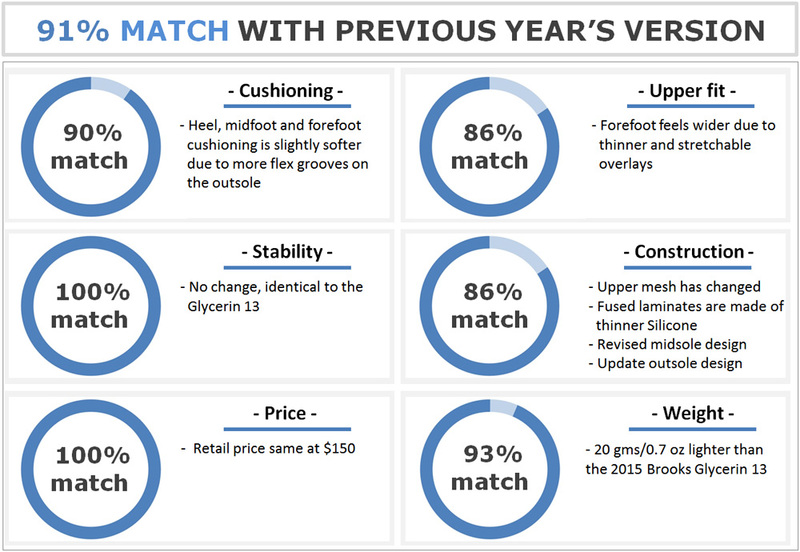 Brooks’ outsole rubber delivers above-average grip, but performs below par on durability when measured against industry standards. The soft rubber compound has a tendency to wear fast, and you’ll begin seeing noticeable levels of shredding within a couple of hundred miles. You’ll probably be able to squeeze 300 miles out of the Glycerin without the outsole being thinned down to the midsole. Maybe a bit more, if you’re lighter and run in colder climes. The Glycerin 14 fits true to size lengthwise, and the fit while snug, offers adequate toe-box room. The use of thin fused layers means less stitched-over components, the logical outcome of which is a smoother interior environment. The inner sleeve wraps the midfoot comfortably, and the padded tongue delivers enough protection against the lacing pressure. The heel grip is excellent. While the heel fit is of a snug nature, the amount of foam packed behind the plush upholstery makes the interiors comfortable. Based on some of the Brooks shoes we’ve reviewed in the past, you have to watch out for examples of irregular manufacturing. You know, things like how the left shoe is assembled differently than the right for the same size. 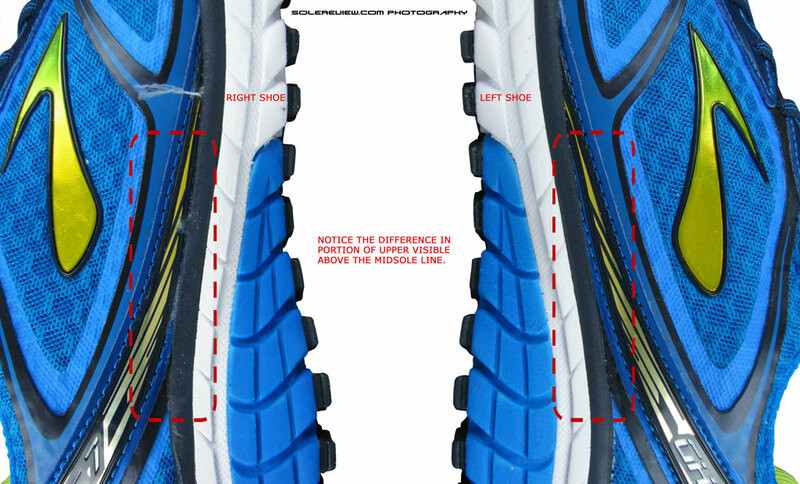 Those kinds of anomalies usually lead to a fit difference between the left and the right shoe. There used to be a time when the Glycerin, like the Ghost, came with a wide toe-box. The whole pointy toe business started with the Brooks Glycerin 12, at the exact time when the midsole evolved into an all-foam version from the Gel based design. Needless to say, the Glycerin 14 has the pointy toe-box too. This fit quality applies to the area around the big toe than the small toe, where there’s decent room on the sides. So the Glycerin 14 doesn’t share the spirit of toe-box room improvement of the Ghost 9; the latter has a wider toe-box and forefoot. And what of the Glycerin’s forefoot? The sides fit snug, just less so than the Glycerin 13. That’s entirely due to the use of thinner overlays which happens to have more stretch. So while the actual space inside the G-14’s forefoot hasn’t increased, the relatively stretchable upper makes the fit more accommodating than the G-13. A wider forefoot fit is optional, for the Glycerin 14 comes in a 2E width. As far as we can remember, the Glycerin has never been a mushy soft shoe. The cushioning softness was always held back by a measure of firmness, and that’s true in the Glycerin 14’s case as well. The removable insole is luxuriously soft, which makes sense considering its thick foam core covered with a plush fabric lining. 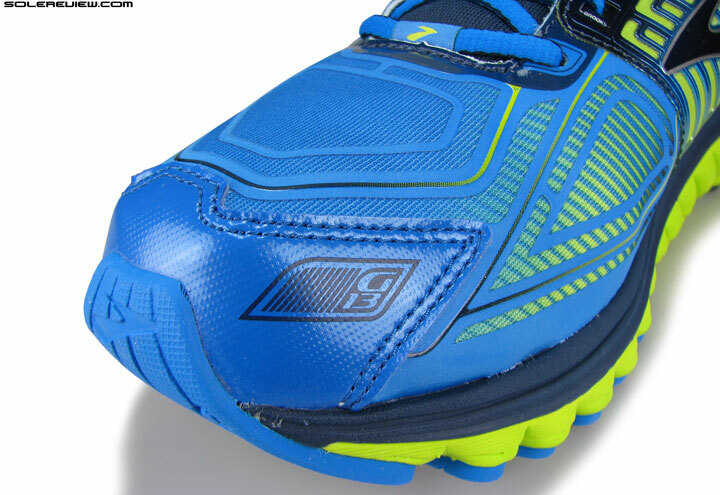 This part is responsible for a lot of the Glycerin 14’s soft feel; the midsole foam below it is relatively firm. The main midsole is medium soft, its sidewalls blending firm with the soft. Like any other shoe, the heel is stacked higher than the forefoot – and yet the cushioning softness is uniformly spread in a gradual, smooth manner. 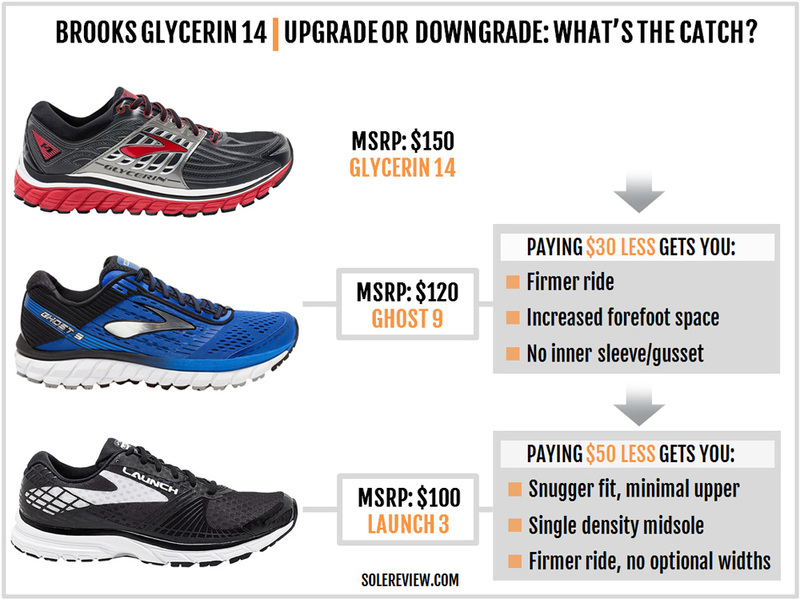 When compared to the G-13, the 2016 Glycerin 14 is slightly softer. That’s due to the outsole redesign; the greater number of flex grooves allows better midsole compression, hence making the ride softer. 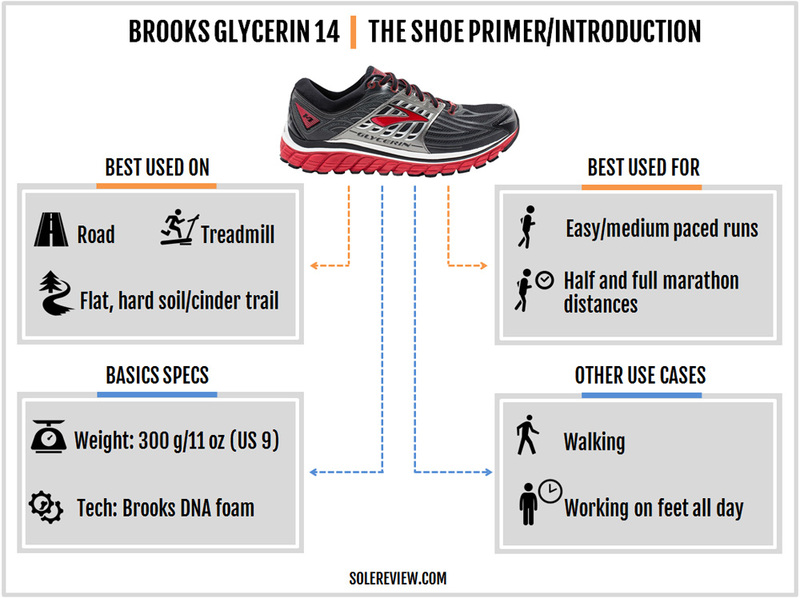 Until the Glycerin 11, the DNA gel based midsole used to be responsive. 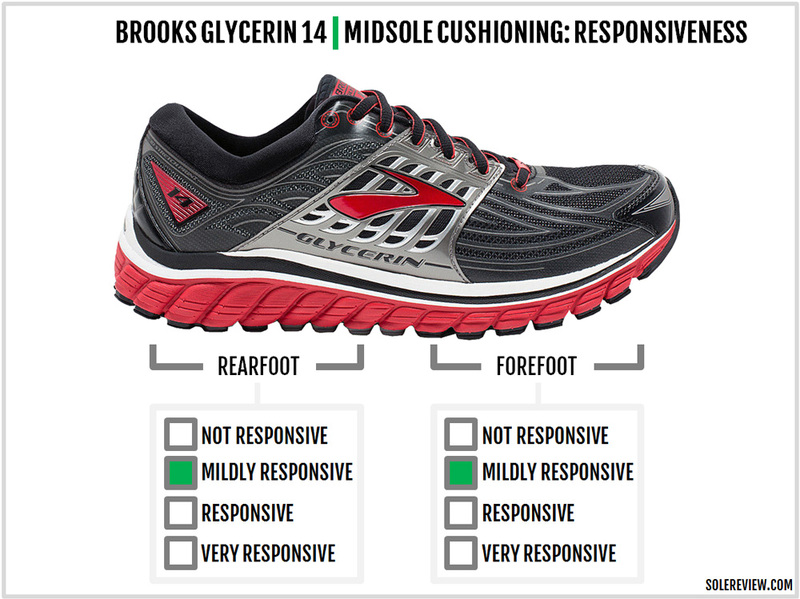 Sadly, ever since the Glycerin transitioned to the single density ‘SuperDNA’ midsole design, responsiveness levels have suffered. 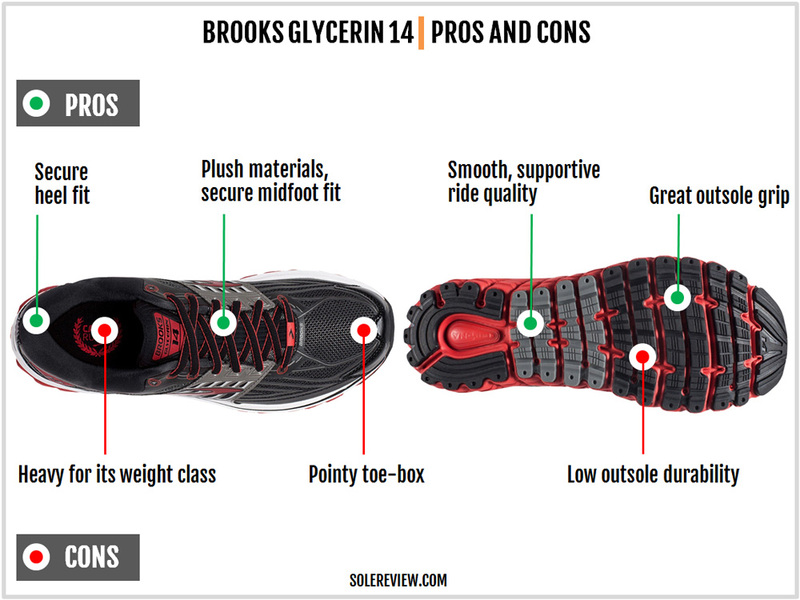 Only the thick insole produces some degree of spring-back/rebound behavior, which makes the Glycerin 14’s ride mildly responsive. 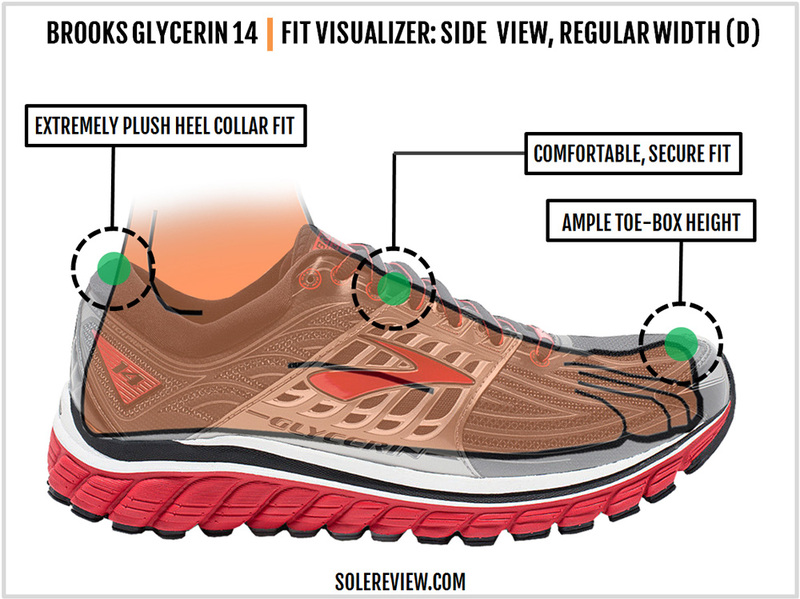 The Glycerin 14 has none of the lateral bias experienced in many neutral shoes. 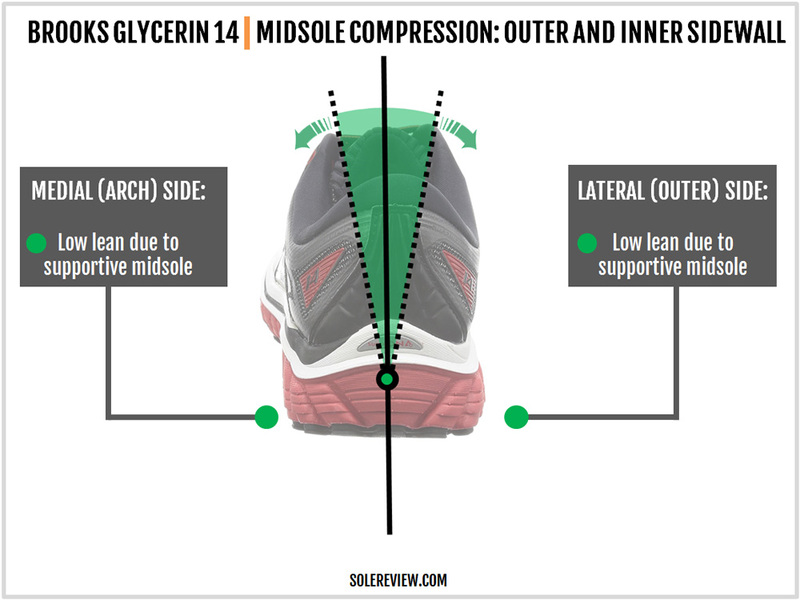 That lean usually happens when the lateral (outer) midsole is softer than the inner side, but in Glycerin 14’s case, the midsole density is consistent throughout. So regardless of which midsole side you’re talking about, the Glycerin delivers a supportive ride. The side midsole rims help too, as they help cup the foot and keep it centered. Worth noting that the midsole rim flares out under the arch, so the medial midfoot is also supportive. The single density midsole of the Glycerin also helps produce very consistent transitions. The ride lacks sink spots of any kind, and weight loading happens in a very progressive way. The new flex grooves on the outsole also contribute to the sense of a connected ride experience. That said, the Glycerin isn’t a fast shoe at all. The overall cushioned nature of the midsole undoubtedly makes it comfortable but saps quickness. The Glycerin comes boxed with the usual goodness – the materials feel premium, the upper fits comfortably, and the ride is cushioned yet supportive. There aren’t any deal breakers worthy of mention. Just know that the toe-box has a pointy fit, and the outsole rubber durability isn’t at par with other brands. Though the Brooks Glycerin 14 and the Ghost 9 are similar in many ways – supportive ride and all – there are enough differences to justify buying both. For starters, the Ghost 9 has a firmer ride, and hence feels slightly faster to run in. Both shoes do well for long distances, but if you crave more forefoot and toe-box room on a given day, then the Ghost 9 is your ride. And for those speedy runs, the Brooks Hyperion stands in as the fast shoe. Tossing the adidas Glide Boost in will give you a firmer, yet more responsive ride experience. The adidas Boost foam works at a completely different level than the Glycerin 14 when it comes to responsiveness, so there’s a lot of rotational value. On the lighter side, consider New Balance’s example of quick excellence; the 1400 V4. 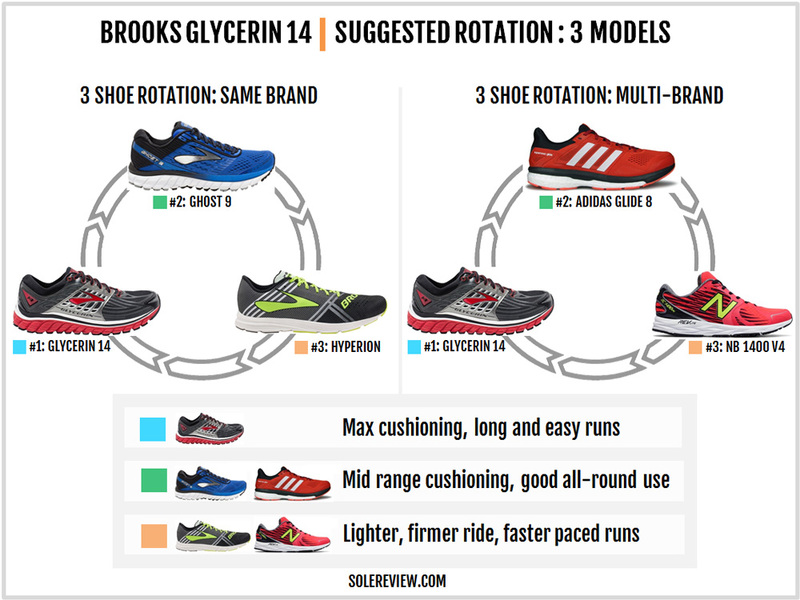 There isn’t a great deal to report when comparing the Glycerin 14 to the 13. A concise summary would be the slightly softer ride due to the additional outsole flex grooves, and the marginally stretchier forefoot due to the thinner layers. The rest of the Glycerin 14 is fairly similar to the 13, so upgrade only if you want increased forefoot room or a slightly softer ride. Brooks’ most expensive neutral cushioned shoe doesn’t have anything above it, so let’s talk about the options below. The obvious priced-down alternative is the Ghost 9 with its firmer ride and more spacious upper. If you want another neutral shoe option with a firmer ride and a tighter upper, then the Brooks Defyance 9 is also worth a look. At the basic trim level is the Launch 3, a no-frills shoe with its minimal upper design and a firmer ride. Like we said – the Brooks running line is pretty simple to decipher.